Michael Graubart is the New York Times best-selling author who penned Hazelden Publishing's Sober Dad: The Manual for Perfectly Imperfect Parenting and Step Up: Unpacking Steps One, Two, and Three with Someone Who's Been There. He writes under a pseudonym to maintain his anonymity and speak frankly about his experiences in Twelve Step recovery. Recovery is hard, but it doesn’t have to be complicated. If sobriety were easy, everybody who wanted to be sober would be. The reality is that making life changes is hard—and everything seems more complicated when addiction or alcoholism are in the mix. An Alcoholics Anonymous (AA), Narcotics Anonymous (NA), or any other Twelve Step approach to recovery may seem overwhelming to those in early sobriety. The good news is that if we truly want to have meaningful lives, there are just three things we need to focus on. Trust God. Clean house. Help others. These three rules are not just Twelve Step slogans or AA jargon, they are well-known to many in long-term recovery and can help us set things right. Designed to encourage self-reflection, honesty, and empathy, these three simple rules have the potential to help anyone whose life feels out of control. 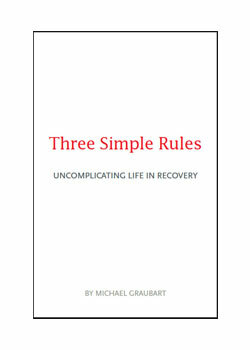 In Three Simple Rules, Michael Graubart uses wit and wisdom gained from more than twenty years of recovery to offer a new take on these three rules and how anyone can use them to regain control of their life. Twelve Step programs can sometimes be intimidating. Before you walk into that meeting, you want to know the scoop and what it's really like to work the Steps. If you're ready to take the first steps in a new direction, you don't have to walk them alone. 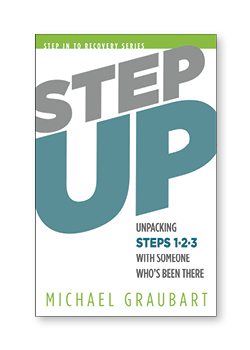 In Step Up: Unpacking Steps One, Two, and Three with Someone Who's Been There, Graubart provides straightforward explanations on working a Twelve Step program, starting with the first three Steps. Graubart honestly addresses the most common questions about the Twelve Step fellowship. As someone who's been where you are today, he shows you what it's like to not only maintain sobriety, but to find a different way of life through a Twelve Step program. 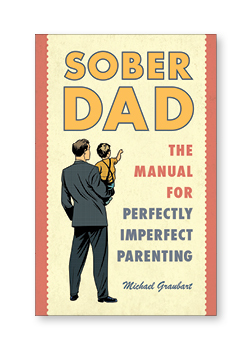 Sober Dad: The Manual for Perfectly Imperfect Parenting is the manual you need if you are a parent (or about to become one) and don't want to get it wrong. Most men who grew up in alcoholic homes who become fathers themselves, know what they don't want to do. They don't want to be like their fathers. Unfortunately, knowing what you don't want to do isn't enough. "I wrote Sober Dad as a guide to parenting for men who, like me, wanted to get fatherhood right, but didn't know how," Graubart said. "My hope is that Sober Dad takes everything that I've learned in a quarter century of sobriety and almost 30 years in Al-Anon not to mention my years as a parent of four uniquely interesting and different children and turns that experience into something that can benefit every father." And that's what Sober Dad is all about—guiding guys to become men because it takes a man, not a guy, to be a father. 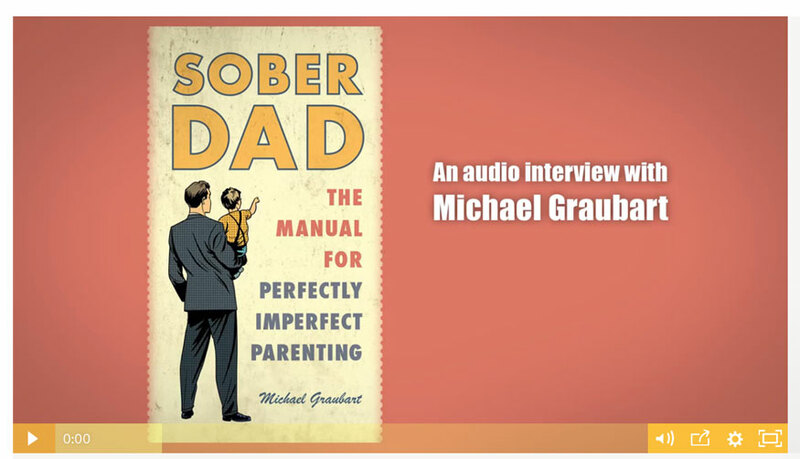 Listen to an audio interview with Michael Graubart as he discusses being a Sober Dad.